Getaround is an on-demand carsharing community. Rent, unlock and drive - all with your phone! Rates start at $5/hour including insurance and no membership fees. Car owners conveniently share their cars earning $500-$1000 a month. Getaround was born from a challenge to positively impact a billion people. Based in San Francisco and launched at TechCrunch Disrupt in 2011, Getaround is a trusted community marketplace for people to list and rent cars. We operate in 8 cities across North America, including Chicago, Washington D.C., Portland, and growing. Through our patented technology and partnerships with automakers, such as Audi, Mercedes-Benz and Toyota, we are revolutionizing urban mobility. Jessica Scorpio is the Founder and CMO at Getaround, the leading peer-to-peer carsharing community. Getaround was born when Jessica was challenged by Google's co-founder and CEO, Larry Page, to develop a technology that would address one of humanity's grand challenges. With over 1 billion cars on the planet, Getaround is dedicated to leveraging the cars already on the road to create cleaner, smarter, more sustainable cities. Jessica is passionate about the impact Sharing Economy companies can have on the lives of everyday people while helping to build sustainable, close-knit cities and communities, and has been recognized by numerous publications including Forbes, Fortune, Inc, Elle and CNBC for her work. She is also a World Economic Forum Young Global Shaper and frequent speaker at events such as Google Zeitgeist, TechCrunch Disrupt, Big Omaha, TNW Conference and SXSW Interactive. 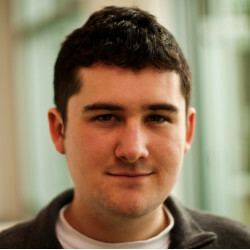 Sam is Founder & CEO at Getaround, a community marketplace for sharing underutilized personal vehicles. He is a 2008 Microsoft Code Award winner, an E&Y Entrepreneur of the Year 2009, a Google Scholarship recipient and alumni of the Singularity University Graduate Studies Program in artificial intelligence and robotics. He is an active member of the technology community, and a co-founder of Fresh Founders, a club for young technology entrepreneurs. Sam holds a degree in Engineering Physics with First-Class Distinction from Queen's University. 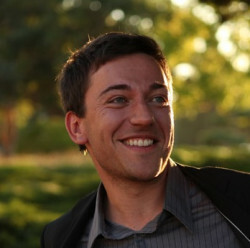 Elliot Kroo is a Founder and Director of Engineering at Getaround. Former Googler and early Street View engineer. Previously founded WingsForCats, a mobile game studio. Last iPhone game was downloaded over 2M times. DUBLIN, September 28, 2017 /PRNewswire/ --The "Connected Car Markets: A Market Dynamics Report" report has been added to Research and Markets' offering. In 2014, when the initial connected car research came out and before the recent deep learning breakthroughs in image processing, the prediction was autonomous vehicles after 2030. Global Total Market Size ForecastsMethodologyTotal Connected Cars by ChannelTotal Connected Cars by MarketUnits by ChannelRevenues by ChannelUnits by MarketRevenues by MarketRevenues by Equipment & ServicesRevenues by GeographyUnits by Technologyns10. Car & Ride-SharingTrends & DevelopmentsMarket Size ForecastsConnected Cars In-UseServices RevenuesRevenues by GeographyParking SolutionsMarket Leaders & InnovatorsMarket Size Opportunity17. Connected Car Intellectual Property LandscapeMethodologyIntellectual Property Open SourceIP Market InsightIntellectual Property OverviewIntellectual Property Market SegmentationMarket Segments Impact by CompetitorOEM Connected Car Intellectual Property18. Early-stage startup entrepreneurs now have an extra week to complete their applications and compete in Disrupt Berlin’s Startup Battlefield. Startup Battlefield shines a bright international spotlight, and it can make a big difference in your business growth. Case in point: Zenefits, a Startup Battlefield finalist at Disrupt NY 2013, went on to raise $583.6 million. If you want to get a feel for the Startup Battlefield experience, The Road to Disrupt video follows five startups as they launch on the Disrupt San Francisco Battlefield stage. Startup Battlefield takes place at Disrupt Berlin on December 4-5, 2017 at the Arena Berlin, Eichenstraße 412435. A recent Pew study estimated that nearly a quarter of all Americans earn some money through these platforms.But how much money are the service providers in the sharing economy actually making from their “side-gigs”? We found that 85% of side-gig workers make less than $500 a month. And of all the side-gig platforms we examined, Airbnb hosts earn the most by far. Making an average of $924 off their platform each month, Airbnb hosts make nearly three times as much as other workers. The figures represent the percentage of workers who fall into each month income bracket. For instance, an online furniture store could use Bread's technology to offer its consumers the ability to pay for a sofa in easy-to-understand monthly installments. With Bread's solutions, different payment plans and different experiences can be tailored to a merchant's product set. Unlike with credit cards, Bread's solutions are designed to be easy for consumers to understand. Menlo Ventures has $5 billion under management and is currently investing Menlo Ventures XII, a $400 million fund with $15 million allocated to the Menlo Talent Fund for fast seed funding, and the Menlo Opportunity Fund, a $250 million fund that targets solely early growth investments. About Victory Park Capital Advisors, LLCVictory Park Capital Advisors, LLC (VPC) is an alternative investment firm with a focus on providing privately negotiated debt and equity capital solutions to small and middle market companies across a wide range of industries. We are bringing TechCrunch’s Startup Battlefield to Australia this year in partnership with ELEVACAO. TechCrunch Battlefield Australia will bring promising founders from the region’s rapidly accelerating startup ecosystem into the Battlefield portfolio. We will notify the 15 founders selected to compete in Startup Battlefield Australia on September 30th, 2017. To bring Battlefield to Australia, TechCrunch is partnering with the ELEVACAO Foundation, whose mission to empower women tech entrepreneurs globally aligns with TechCrunch’s Include program to encourage more diversity in tech. Editorial note: This post has been updated to better explain the winner’s prize package and qualification requirement for Startup Battlefield at Disrupt SF 2018. GM Self-driving Chevy Bolt’s being assembled at a GM plant. And while the forces of innovation and technology are hard to quantify, that’s not stopping Bank of America Merrill Lynch from trying. “We are reaching “peak car” in many developed markets,” Bank of America said. “Transportation is costly and inefficient, making the sector ripe for disruption.”On average, cars sit idle 95% of the time. “Auto manufacturers and tech companies have been some of the largest investors and movers on ride-hailing,” writes Bank of America. And while the forces of innovation and technology are hard to quantify, that's not stopping Bank of America Merrill Lynch from trying. The transportation sector in particular has $608 billion worth of market share ripe for disruption from the rapidly-evolving sharing economy, the bank said in a report. "We are reaching “peak car” in many developed markets," Bank of America said. "Transportation is costly and inefficient, making the sector ripe for disruption." "Auto manufacturers and tech companies have been some of the largest investors and movers on ride-hailing," writes Bank of America. Jason Ditzian, writing for The Bold Italic on what happened when the car sharing service he’d been using for 10 years was acquired:However, City CarShare was recently bought by a corporation, Getaround. And Getaround built its platform on top of Facebook. If I want to share cars with my fellow city dwellers, I’m compelled to strike a Faustian bargain. To access the services of Getaround, one must authenticate their identity through Facebook. You have resigned yourself to the idea of Facebook owning your data. Photo courtesy of GetaroundWould you let a stranger with a smartphone rent your car for a few hours? Getaround, which quietly began operating in Boston in March and started advertising in the market this month, lets car owners rent their vehicles fora few dollars an hour. But according to founder and chief marketing officer Jessica Scorpio, because car owners get 60 percent of the revenue, it isn’t a tough sell. Want to rent out your car while you’re at work? A similar service, RelayRides, allowing car owners to rent their cars, was founded in Cambridge in 2009 and launched its hourly rentals the next year. Peer-to-peer (P2P) carsharing company Getaround has raised $45 million in a round of funding led by Braemar Energy Ventures, with participation from Toyota, Shanghai Automotive’s VC arm, Menlo Ventures, and Triangle Peak Partners. Founded in 2009, Getaround offers a mobile app and marketplace for owners to rent out their cars when they’re not using them. Through the Getaround app, renters can reserve, locate, and even unlock their vehicles without the need for a physical key — the renter receives a code to unlock cars directly to their mobile phones. It’s basically a far more convenient way of sharing cars, as it circumvents the need to physically exchange keys. “By turning any vehicle on the road today into a connected car on Getaround, we have created the only marketplace to instantly share cars,” said Getaround CEO and founder Sam Zaid. Resale retail is a rapidly exploding business — particularly if one happens to be in the business of reselling clothes. According to thredUP’s most recent resale retail report, annually resale retail clocks in as a $40 billion industry, 49 percent of which ($18 billion) alone is apparel sales. Plus, 84 percent of millennial consumers noted their preference to spend on “socially conscious brands that reflected their values,” even when shopping second hand. But more than a shift in who is shopping second hand — recent data is also indicating a change in how consumers are shopping. So is secondhand retail about to displace buying first-hand? Getting around without a car can be a laborious and grueling process. Within larger cities, there’s usually a Zipcar or other short-term car rental service nearby, but that can sometimes be expensive. For any Uber driver looking to not use their own car, there’s great news. Any Uber driver looking to partake in using one of the available rental cars is required to go through the standard company approval and screening process. Following the not-so-stellar media coverage of Uber over the last few months, this move is likely meant to help the company stay afloat and attract new drivers. Uber is adding an incentive for people who want to become drivers but don’t own a car. Approved drivers in the program can drive a Getaround car, with the first 14 hours free, and pay $5 per hour thereafter. Those in San Francisco wishing to participate will have to first be approved as an Uber driver. If it’s the first time renting a car, drivers can keep it free for up to 14 hours. For every hour after that, and when they select another Getaround car for the next shift, it’s $5 per hour, with the fee also covering insurance, gas, and mileage. Thanks to this investment, Drivy plans to open services in Britain and two other (unnamed) European countries this year. This fresh investment brings the total raised to date to Euro 47 million. Its US rival Turo entered Canada as a first international market earlier this month, and has raised a total of $101 million to date. Drivy does not yet operate in the United States or Canada, where rival upstart Turo offers a comparable service. Headquartered in Paris, the startup Drivy aims to connect people who want to rent out their cars with people who want to drive them. We can expect to see more changes in an exciting year ahead as auto companies become mobility services and tech companies become auto companies. To break new ground, auto companies are becoming tech companies. Google and Tesla may be pushing full-speed ahead in their self-driving car development and testing, but auto manufacturers aren’t sitting idly by. Auto manufacturers are predicting self-driving car consumerization in three to four years, versus Tesla’s expectation of one year and Google’s current deployment of cars already in California. We’re in the midst of a significant transition for auto companies as they realize a future where people may not want or need to own vehicles. California recently passed legislation requiring a driver to be behind the wheel of a self-driving car at all times. Early rules for self-driving vehicles may hinder the speed of progress. A mix of Lyft’s existing investors, including the Asian e-commerce giants Rakuten and Alibaba, also contributed to the most recent financing round, as did the Chinese ride-hailing start-up Didi Kuaidi. had invested $500 million in the company, or half of its latest $1 billion venture financing round. did not give a specific timeline for when they expected their autonomous vehicle network to become publicly available, nor did the companies offer details on how the network is expected to function. The item you've requested, http://www.chron.com/business/article/General-Motors-invests-500m-in-Lyft-forms-6735078.php, was not found. Possible causes:The address was entered incorrectlyThe item no longer exists, orThere has been an error on the site. If you feel the address you entered is correct you can contact us, mentioning the error message received and the item you were trying to reach. From here, you can: We apologize for any inconvenience. Please go back to the submission page and choose images that meet the file size limits. If you have reached this page upon trying to submit images to the site, you have exceeded the indicated file size limits. Fontinalis Partners — a venture capital firm co-founded by Ford Motor Co.'s Executive Chairman Bill Ford — invested in Lyft last May. Together, the companies plan to open a network of U.S. hubs where Lyft drivers can rent GM vehicles at discounted rates. General Motors Co. said Monday it is investing $500 million in ride-hailing company Lyft Inc. and forming an unprecedented partnership that could eventually lead to on-demand, self-driving cars. Google, which is testing a small fleet of driverless cars, invested $250 million in Uber in 2013. Detroit-based GM also has an enviable global reach; it sells almost 10 million cars each year in more than 100 countries. Tesla is one of a growing number of carmakers testing self-driving cars. Originally published as Hottest car technology coming next year Autonomous vehicles are in the spotlight, but car technology will change in more ways than one in 2016. Koslowski believes car makers will bring more self-driving technology directly to consumers in the coming year, many of whom are uncomfortable with the idea of an autonomous vehicle. The 2016 BMW 7-series will be the first production car that can park itself without anyone in the driver’s seat. Autonomous vehicles are in the spotlight, but car technology will change in more ways than one in 2016. Ford partnered with Getaround to launch a test program called Peer-2-Peer Car Sharing that allows car owners to connect with users online who are looking for a ride. Koslowski believes car makers will bring more self-driving technology directly to consumers in the coming year, many of whom are uncomfortable with the idea of an autonomous vehicle. The growing popularity of Uber and Lyft, particularly in urban areas, has pushed automakers to explore opportunities in car sharing. The 2016 BMW 7-series will be the first production car that can park itself without anyone in the driver’s seat. California's aggressive environmental regulation and generous electric car subsidies have nurtured companies such as Tesla and its emerging rival Faraday Future. Jobs in the California Auto industryThe state also has given birth to tech-driven ride services such as Uber and Lyft and car-sharing companies Turo and Getaround. Its total size is still far from the 326,000 automotive industry workers employed in Michigan, according to the Center for Automotive Research. "At the same time, the auto industry is less insular and understands the convergence of technology, automation and transportation. Other automotive powerhouses with Silicon Valley offices include Toyota, Honda, Hyundai, Volkswagen, BMW, Mercedes-Benz, Nissan and automotive suppliers Continental, Delphi and Denso. Of course, the idea of linking the physical world online isn’t a new phenomenon. These are just a few of the startups which are making improving our lives by linking the offline world online. And although these startups have presences on the web and mobile devices, they are also disrupting services in the physical world. The online to offline connection is obvious, as you order online for a car that picks you up in the physical world. Essentially these startups make industries in the physical world more efficient, and thus make our lives better. In terms of which companies generated the most buzz on Twitter, Disrupt NYC winner Getaround garnered the most mentions with a 38 percent share. I am still recovering from Disrupt NYC. You can find videos of the finalists and all of Disrupt NYC here. That spike on Day three was related to an iPad giveaway linked to people Tweeting out the hashtag, which was Tweeted out 18,177 times (and that doesn’t include tweets that used other hashtags such as #disrupt or simply mentioned Disrupt without a hashtag). But here are a couple of charts that give a snapshot of the activity around the event as measured by Tweets with the event hashtag #TCDisrupt (thanks for the charts, Simply Measured). You are about to activate our Facebook Messenger news bot. Click on the button below to subscribe and wait for a new Facebook message from the TC Messenger news bot. Once subscribed, the bot will send you a digest of trending stories once a day. Thanks,TC Team You can also customize the types of stories it sends you. It’s also launching the production model of its Getaround Carkit (a keyless remote), which interfaces with the new Getaround iPhone app to let anyone peer to peer car share in minimal time by allowing you to easily unlock member cars. Unlike ZipCar, which has a $85 sign up fee, Getaround is free to join and car owners can instantly rent their cars without any additional fees other than the rental charge. Getaround is in the same space as RelayRides and Zipcar, but has some competitive advantages. RelayRides gets people to donate their personal cars, whereas Getaround is a peer to peer marketplace, and hinges on yield management, tapping into the community of unused inventory in order to get its product base. Getaround’s all inclusive package, which includes insurance, 24 hour roadside assistance, a Getaround car-kit, iPhone app and a web app makes it easy for people to conveniently car share any where. These startups will battle it out over three intense days, with one of these companies eventually taking home $50,000 and the official Disrupt trophy. We will also hear pitches from the two StartupAlley companies that receive the most votes over the next two days. We are only a few hours away from kicking off the third TechCrunch Disrupt conference in New York and we are thrilled to announce the 29 startups that were chosen out of nearly 1,000 applicants to pitch ideas and applications over the next few days. ArrivedAvadoBillGuardCatchFreeccLoopChurn [email protected] PublishingMePorterMotherKnowsRexlySHL TelemedicineSkylinesSneakpeeqSonarSpenzSpotOnStyleSeatThinkFuseThriftDBTracksWeotta You can watch the livestream here. Will P2P services keep bringing more of this human element, personalization, and discovery into the foreground? And, while these companies continue their march, we are already into the next peer-to-peer evolution: P2P 2.0. During all these P2P transactions, companies like Square, Roam, and Bump leverage mobile phones to help drive payments. That was P2P 1.0, anchored by eBay and Craigslist, networks that have connected billions. Imagine busy New Yorkers with disposable cash demanding something immediately, delivered right now: “Zaarly it.” The Zaarly concept connects time and money in the P2P vector, just like eBay connects sellers and buyers. One of the Collaborative Fund’s recent investments is Groundcrew, a company that utilizes geo-location and messaging to help average Joes and businesses coordinate mobile teams. Specifically, Collaborative Fund is investing in companies that apply emerging technologies to peer-to-peer collaboration—like sharing, bartering, trading, and organizing—in order to benefit the greater good. Last week, we covered the launch of the Collaborative Fund, angel investor Craig Shapiro’s new seed fund aimed at supporting for-profit startups with a social mission. 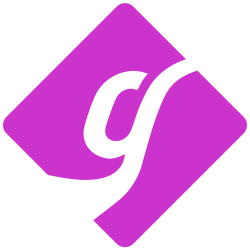 Groundcrew thinks that making their software available to ordinary people, communities, and businesses like yours has big potential. Unlike the hyper-focus of an app like Wheretheladies.at, Groundcrew has broader, more community-conscious goals in mind than helping a dude get laid. Today, we’ve come across a nifty startup called GetAround that has taken AirBnB’s model and applied it to car rentals. It should be interesting to see if GetAround can gain traction in the car rentals space. But will car owners be willing to rent to a complete stranger? Those interested in rentals can search for rentals in their neighborhood or near an address for a fixed time. Renters are required to return the car at the same gas level as when they received the car while owners have to keep their car 1/4 full with gas during rental periods.